In October, a special issue devoted to Latino art will showcase the Archives's recent collecting initiative funded by the Smithsonian Latino Center. 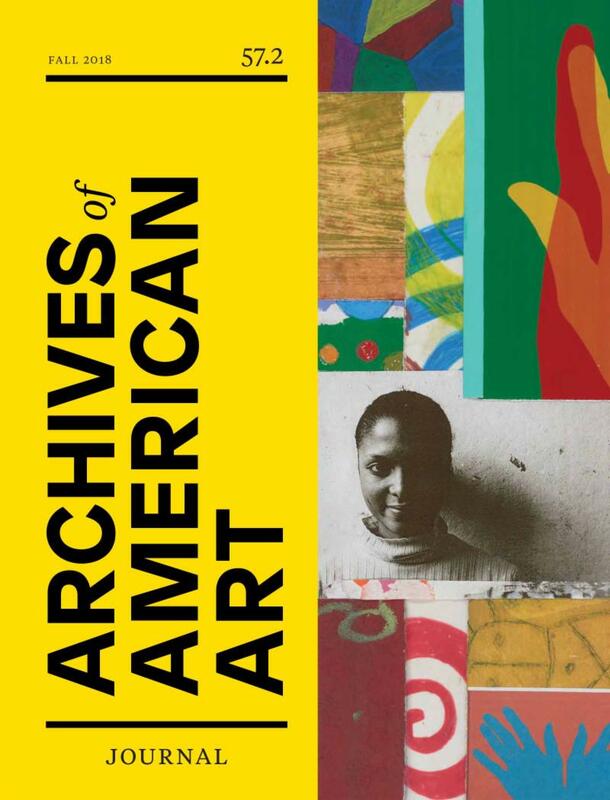 The issue acknowledges the value of Latino history and cultural production to the study of American art and aims to stimulate more research on Latino art and its archives. Featured are essays by Karen Mary Davalos, Tatiana Reinoza, and Josh T. Franco, as well as interviews conducted by Jennifer A. González with C. Ondine Chavoya, Olga Herrera, Tey Marianna Nunn, and Adriana Zavala. Call For Papers. The journal is soliciting essay proposals for a special issue on feminism and archives. National Hispanic Heritage month is September 15 through October 15. To celebrate, we are revisiting holdings that speak to the extensive contributions of Latinos to the history of American art. 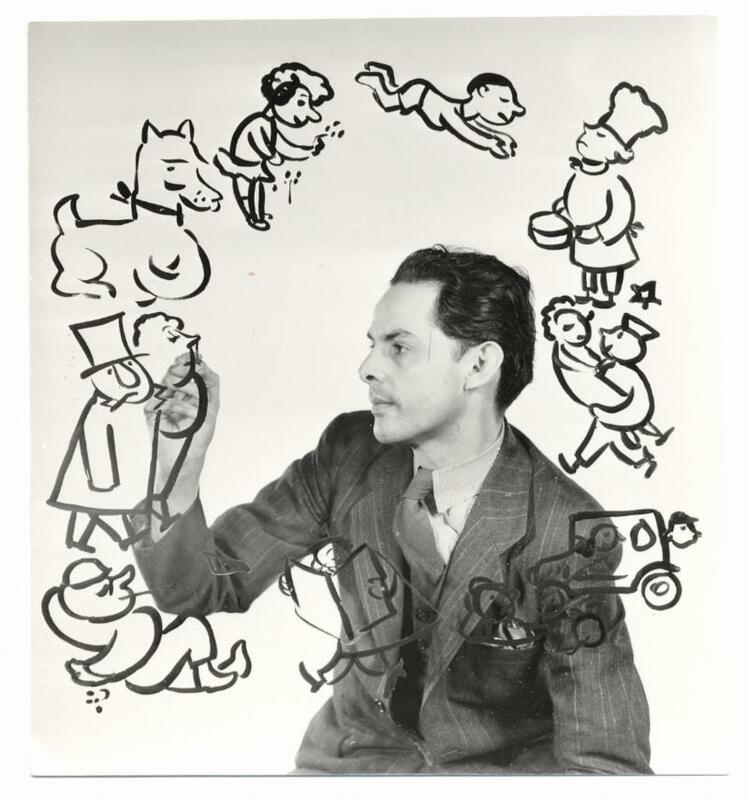 Dive into the fully digitized papers of cartoonist, caricaturist, graphic designer, illustrator, and art director Abril Lamarque. Help transcribe (in Spanish) his beginner book on drawing caricatures; enjoy a letter from Yolanda López to scholar Tomás Ybarra-Frausto, in which she expresses that she looks forward to reading what he has written about "chicanos, the media, y 'zoot suit';" or enjoy digitized images of beautiful drawings from the collections of artists Emilio Sanchez and Naul Ojeda. In Agnes Martin: Pioneer, Painter, Icon, author Henry Martin weaves together a notable variety of sources to support a deep exploration of the connections between the artist’s personal life, relationships, and creative output. The author offers insight into the motivations fueling Martin’s career and remarkable evolution. Martin is also author of Yappo (2017), as well as numerous stage plays. He has written for Phaidon Press, The Irish Times , Hyperallergic, and Journal of Illustration . He was researcher on and narrator of the documentary Agnes Martin Before The Grid (2016). AAA: You give significant weight to Agnes Martin’s voice by exploring her papers (at the Harwood Museum of Art) and her various interviews, but you give equal weight to the voices of her friends and colleagues—largely from oral histories at the Archives of American Art. What was it like getting to know Martin’s life through her papers, and then seeing her through the expressed thoughts and feelings of others? HM: In art studies and criticism there is a history of complicated writing about very simple work. The work of Agnes Martin remains vulnerable to this fashion. By returning to source material—interviews, letters, writings—I was aiming to offer the reader a direct experience of the artist and her world. The goal was to elucidate not obfuscate. In interviews Martin often became the interviewer, rebounding questions. This captures her interest in others, which people assume she did not have because she lived alone. When it came to understanding her character, reading between the lines like this was as important as what the text revealed. Martin’s account of her life and motivations does not always match with the version her friends offer. It took me a while to marry the two as well as parse the contradictions in her character. In addition to this, the beliefs and attitudes of a subject often change throughout their life and they are often not the most objective narrator. With this in mind, using oral histories with Martin’s contemporaries allowed me to create a composite portrait of the artist. Their “thoughts” and “feelings” were a rare gift, providing depth, perspective and color. AAA: How did you conclude that these memories of events and feelings—ranging from intimate and quotidian to more general—would be such an important component to understanding Martin’s creative evolution, and more broadly, what opportunities do you think this method grants art historians? HM: Martin eschewed her biography and rarely spoke about her adult life. This makes interviews with her family, friends, and curators indispensable in forming a portrait of the artist. However, oral history interviews impact art historical analysis as much as they furnish character profiles. For instance, Louise Sause—a friend of Martin’s—recalled visiting Martin in Taos in the 1950s, where she saw a series of pink and blue watercolors consisting of “delicate horizontal lines”. This observation contradicts the accepted trajectory of Martin’s artistic evolution, revealing that she was painting in a minimal aesthetic before arriving in New York where she claims she painted geometric paintings for the first time. In a 2016 Reith Lecture Hilary Mantel says of history, “It's not a science. It's a humanity.” By extension, the value of an oral history is not in (or always in) fact, but also in point of view. When Agnes’s friend John de Puy says “[Agnes] looked like a strong Greek goddess” or her friend Kristina Wilson says “[Agnes] was very decisive and sure of herself on everything,” they disclose a relationship dynamic that reveals how the artist existed in the world—how we might have encountered her if we had had the chance. This is rich material for an art historian to process, debate, and explore. 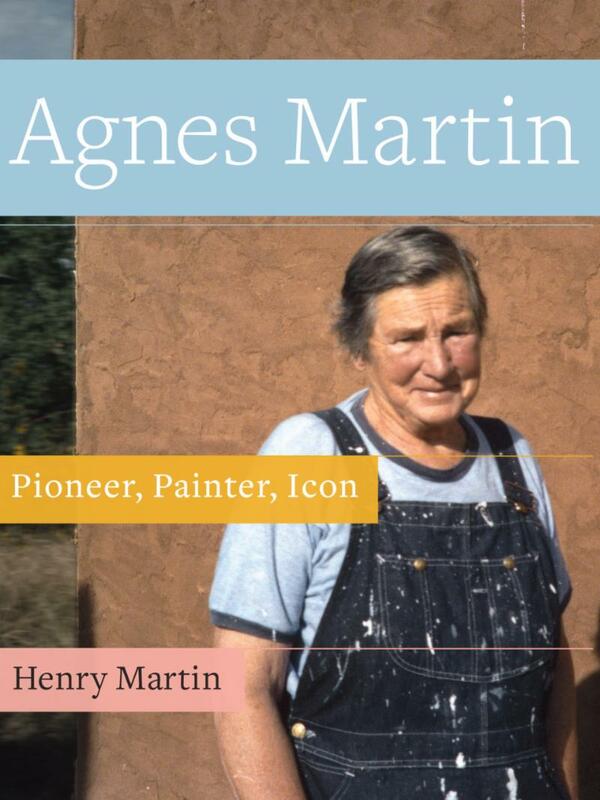 Henry Martin, Agnes Martin: Pioneer, Painter, Icon, 2018 (Tucson: Schaffner Press). Drawing on a broad range of materials from the Archives, Pushing the Envelope offers an in-depth look at the history of mail art from the 1960s on. The show foregrounds the movement's international community and critique of politics, society, and the art market, rooting it in its various historical contexts. Pushing the Envelope is guest curated by Miriam Kienle, an Assistant Professor at the University of Kentucky, in conjunction with her students in a special topics seminar on the international mail art movement. It will be on view throu gh January 4, 2019 at the Lawrence A. Fleischman Gallery. We are steadily increasing online access to archival collections and oral history transcripts through finding aids, digitized collections, transcripts, and our Digitization on Demand service . April 2018. Funding provided by Barbara Fleischman. January-March 2009. 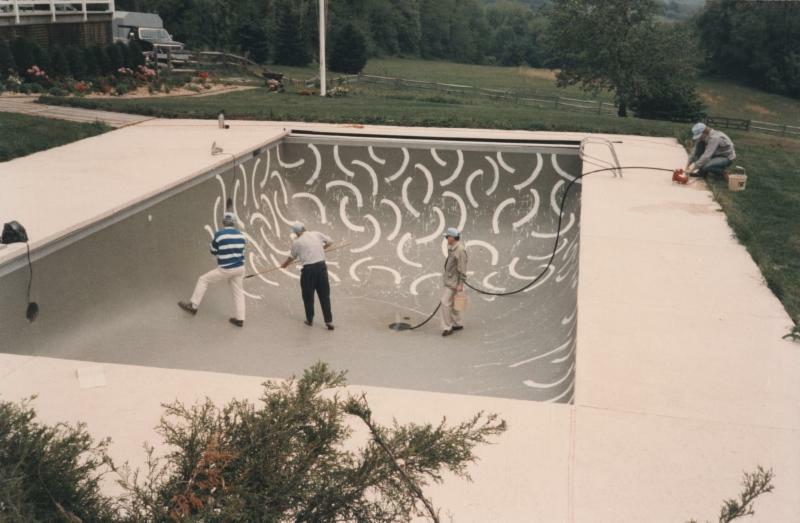 Funding provided by the U.S. General Services Administration, Design Excellence and the Arts. Funding for the digital preservation of this interview was provided by a grant from the Save America's Treasures Program of the National Park Service. March 2018. Funding provided by the Lichtenberg Family Foundation. August 1988-February 1990. Funding for the digital preservation of this interview was provided by a grant from the Save America's Treasures Program of the National Park Service. July-August 2017. Funding provided by the Pollock-Krasner Foundation. September 29-January 27, 2019. Leslie-Lohman Museum of Gay and Lesbian Art focuses on the iconic performance artist and his disruptive, anti-institutional practice. A speech and press releases related to Varble's work, from the Gregory Battcock Papers, are on loan from the Archives. Through January 6, 2019. Bünder Kunstmuseum in Chur, Switzerland considers Alberto Giacometti's substantial influence on Hugo Weber's work. 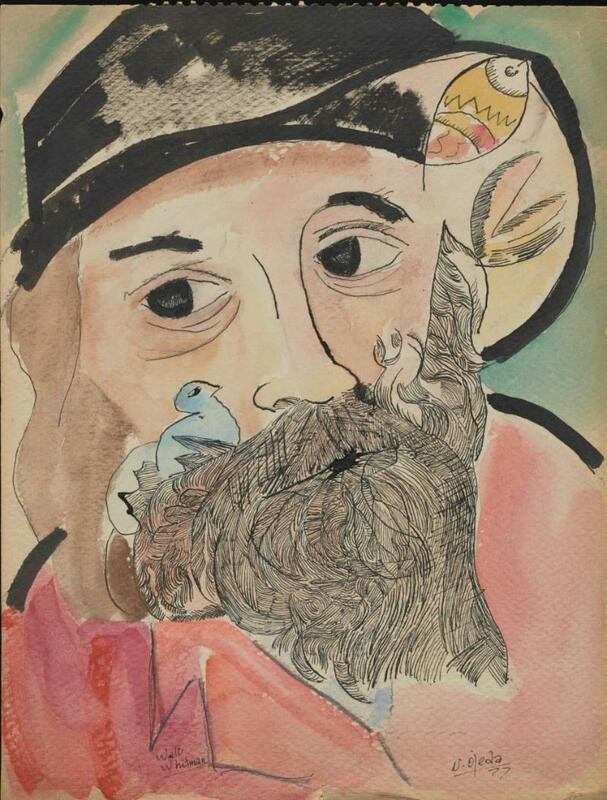 Sketches and photographs from the Hugo Weber Papers feature prominently in the exhibition. Through December 14, 2018. Presented by Bard's Center for Curatorial Studies and the Hessel Museum of Art, the exhibition uses archives to explore the shared histories and work of the Pat Hearn Gallery, American Fine Arts, Co., and Colin de Land Fine Art. More than 20 images from the Archives are on view, along with Colin de Land's hat featuring his slogan "Don't bother me unless you're buyin'." Through November 18, 2018. The Canadian Warplane Heritage Museum is recreating the Archives' exhibition of the same name, drawing on content in a digital format. Three original documents from the Thomas Carr Howe Papers are on display: a photograph of recovered works of art, a German Civil affairs handbook, and a page of the inventory of paintings in the Goering Art Museum. Did you know that it costs $1,000 to process one linear foot of archival material? The Archives' largest collection is the André Emmerich Gallery records and André Emmerich Papers , which contain 311.2 linear feet of material. Our smallest collections include a single letter, photograph, diary, or recording such as this letter from painter George Catlin . AAA JOURNAL. Juan Sánchez, Preliminary design for the 2009 mural program Our Transcendence Is Our Reign , James Monroe Educational Campus, Bronx, NY, 2005 (detail). Juan Sánchez Papers, Archives of American Art, Smithsonian Institution. HISPANIC HERITAGE MONTH. 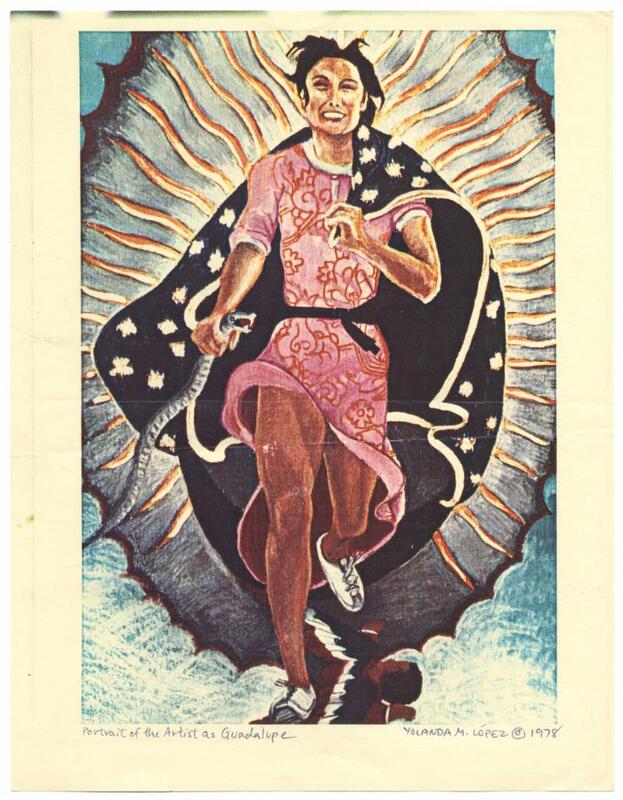 Yolanda M. López letter to Tomás Ybarra-Frausto, "Portrait of the Artist as Guadalupe," March 14, 1979. Tomás Ybarra-Frausto research material on Chicano art, 1965-2004. Antonio Sotomayor Painting on glass, circa 1935. Unidentified photographer. Antonio Sotomayor Papers, circa 1920-1988. Sketchbook, circa 1970. Naul Ojeda Papers, circa 1960-2004. PUSHING THE ENVELOPE. Pat Larter mail art to John Held Jr., 1981. John Held Papers relating to Mail Art, 1973-2013. WHAT IT TAKES. André Emmerich watching David Hockney painting the interior of Emmerich's swimming pool, May 1986. Unidentified photographer. André Emmerich Gallery Records and André Emmerich Papers, 1929-2008.